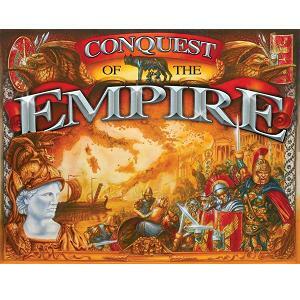  The Conquest of the Empire board game is a board about ancient Rome.  Players participate in wars in the Mediterannean during the Roman era. The Conquest of the Empire board game (ages 6 and above) depicts the civil war in the Mediterannean during the Roman era. It is an enjoyable board game and it is relatively easy to play. It include a HUGE board (so you will need a large table), army pieces, plastic money, cards and two sets of rules. Victory is determined by how the player handles his units, catapults, barbarian invasions or slave revolts and how wisely he invests his money. 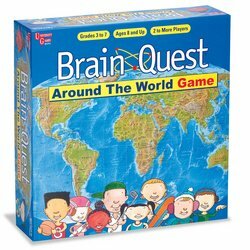 By playing this fun board game, children learn a bit about Roman history and become interested in it. For example, they learn about Latin province names, Roman weapons, events such as the slave revolts and barbarian invasions.